Council is committed to providing parks, sporting fields and recreational areas that promote active lifestyles, bring people together, and contribute to the wellbeing of our city. Wordsworth Park is the only park space in the suburb of Woodstock and has relatively underdeveloped facility assets. As the only large park in the area, Council has recognised that it has the capacity to be developed into a district destination park that serves Woodstock and surrounding residents. The first stage of this process is to conduct consultations with the community and the key stakeholder groups. New recreational facilities including: electric BBQ, shelter, picnic shade and tables, small bicycle 'Pump Track', mini skate park, lawn bowls area, rebound wall for tennis practice, new play equipment suitable for multiple age groups with shade. The community consultation also proposes additional shelters, seating, irrigation, landscaping and drainage. The community consultation of Wordsworth Park will address the immediate and future needs of the park, and progressively develop the park to provide improved sporting and recreational opportunities for community use. Residents are encouraged to have their say throughout April about what upgrades and new facilities they would like to see established in Wordsworth Park. A survey is available during the consultation period. Onsite meetings and forums with community and key stakeholders will also occur. Feedback received will help influence the detailed design of the park and ensure that the proposed upgrades and new facilities will meet the community's expectations. The final outputs of the community consultation process will be sent to detailed design. All future works will be dependant on funding and Council's 2019/20 Budget. The project will follow a staged delivery approach. The new system of three days a week on an odds/evens system from dusk to dawn (5pm – 8am) will provide people with greater flexibility. Learn how we are working together to get Townsville back on it's feet. 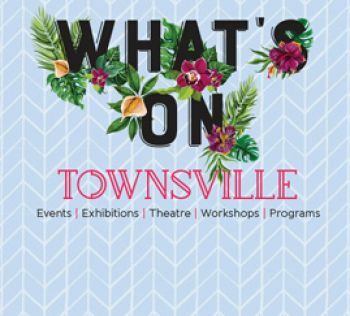 What's On Townsville is the North's Ultimate Event Guide! See today, this week this month or browse music, film, theatre, festivals, tours, markets, sporting events and more. School Holiday Guide - out now! With numerous low-cost and no-cost activities on offer, Townsville's youth won't have a moment to spare during these school holidays! ABN: 44 741 992 072 Copyright 2019 Townsville City Council all rights reserved. Townsville City Council acknowledges the traditional owners and custodians of Townsville – the Wulgurukaba of Gurambilbarra and Yunbenun and Bindal people. Townsville City Council also acknowledges the surrounding areas of the Nywaigi and Gugu-badhun people.